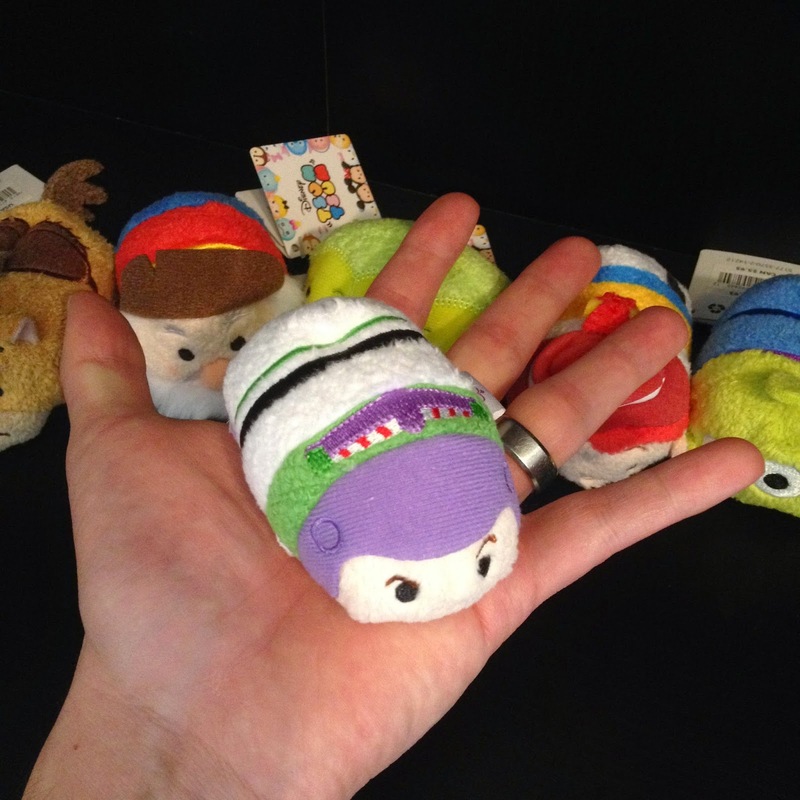 You might be wondering, what on earth is a "Tsum Tsum"? 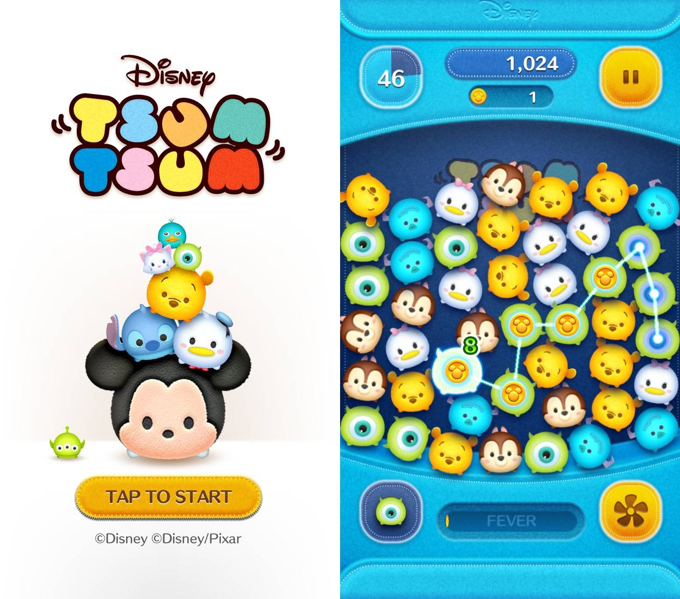 These little guys were first introduced in Japan in 2013 to coincide with the release of the Japanese Disney mobile app game of the same name. 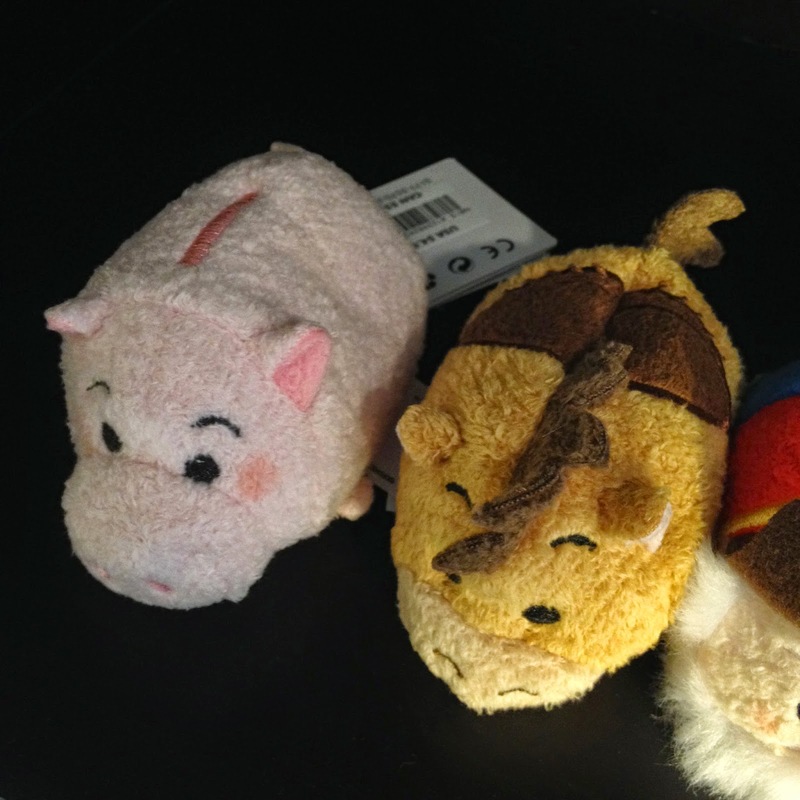 Ultimately, they're small, stylized, stackable, bean bag plushies based on popular Disney characters. As of this past summer, they have now made they're way to the U.S. (along with the mobile game) and are available only at Disney Stores. There are many different Disney characters that have been released, such as Snow White and the Seven Dwarfs, the classic Mickey and Friends, Winnie the Pooh and many others in addition to these Toy Story ones. 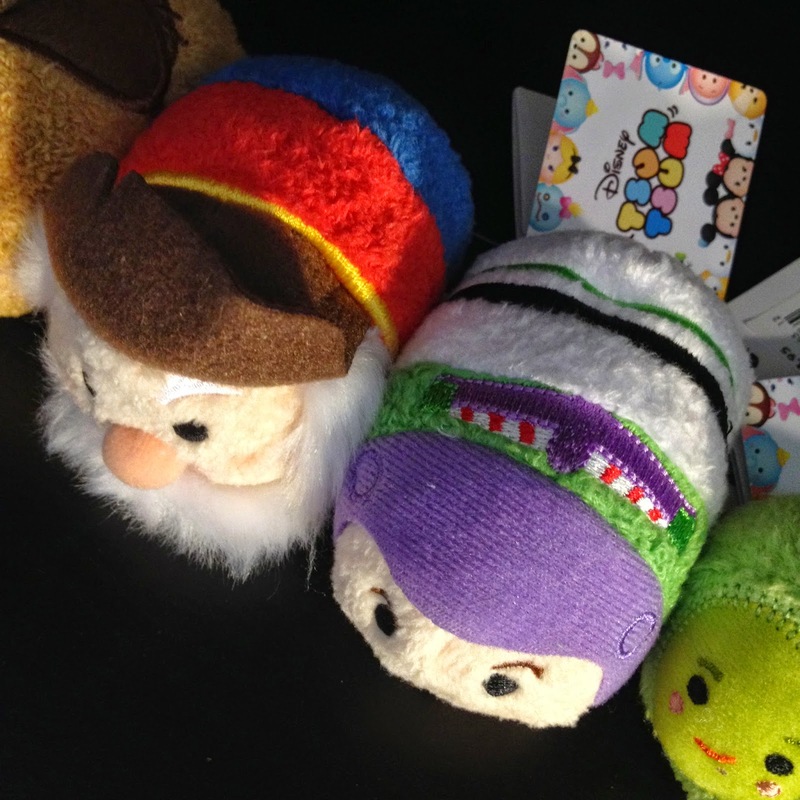 "Tsum Tsum" (pronounced "Soom Soom") literally means "Stack Stack" in Japanese. Back in the early summer of this year, I downloaded the game on my phone and was impressed at how cute and fun it was. The designs of the characters (and how they walk/waddle) were just too adorable and the game proved to be quite addicting (more so with my wife though, than me). 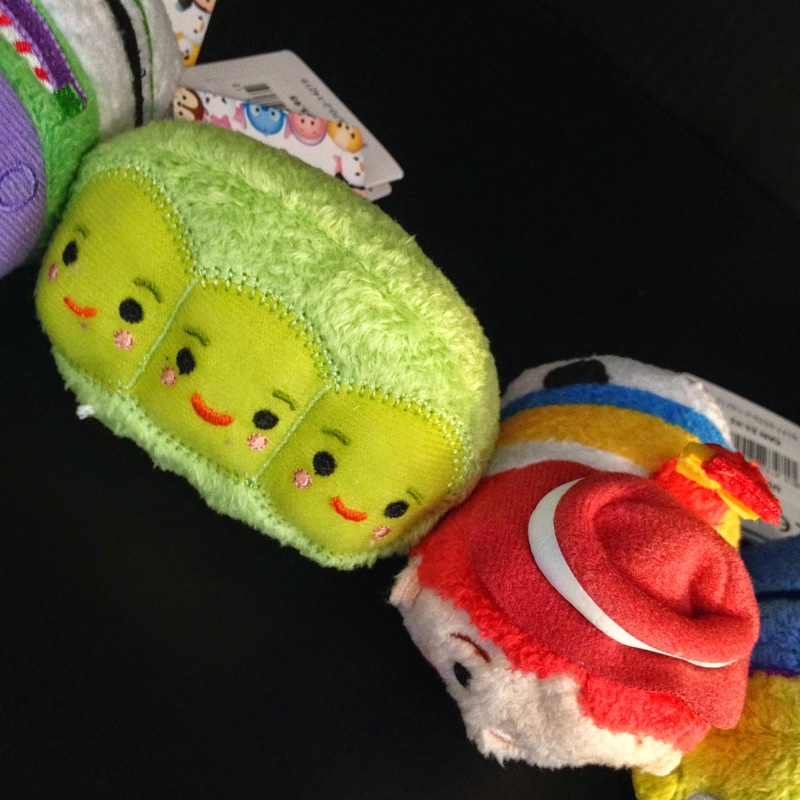 I thought, if they ever released any Pixar related Tsum Tsums at the store, I would have to get them. 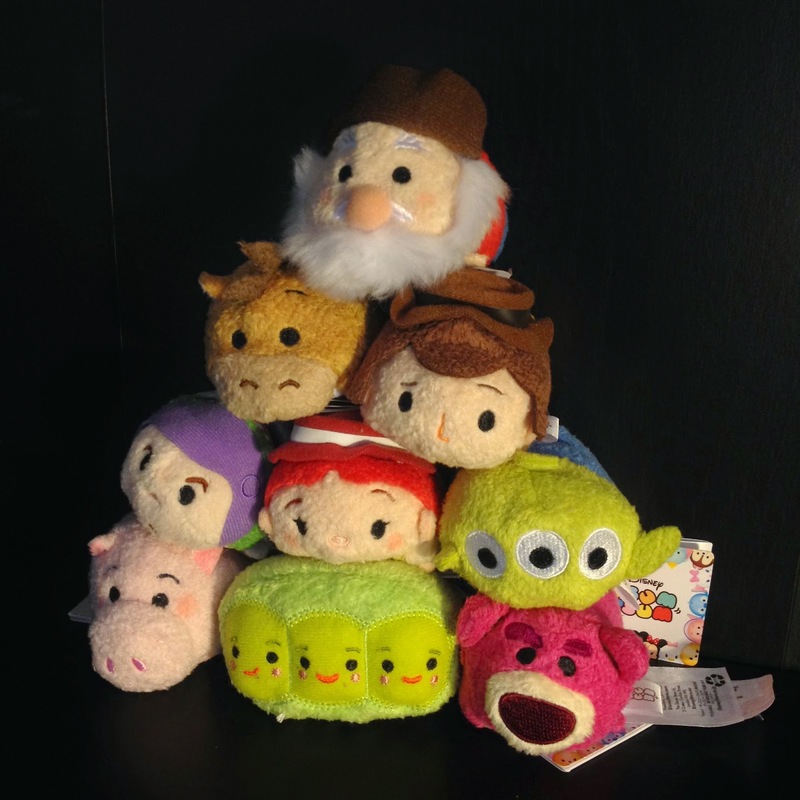 Well, just a few weeks ago the Disney Store released nine Toy Story Tsum Tsum characters, so I knew right off the bat that I would have to snag these for my collection. Admittedly though, I was a little bit on the fence at first as to whether I did actually want these or not, but man am I glad I did. Needless to say, they are CUTE and I was even more impressed with them once I saw them in person. From left to right (image below), the nine characters released are: Hamm, Bullseye, Stinky Pete, Buzz Lightyear, Peas-in-a-Pod, Jessie, Pizza Planet Alien, Woody and Lotso. Each one retails for $4.95. 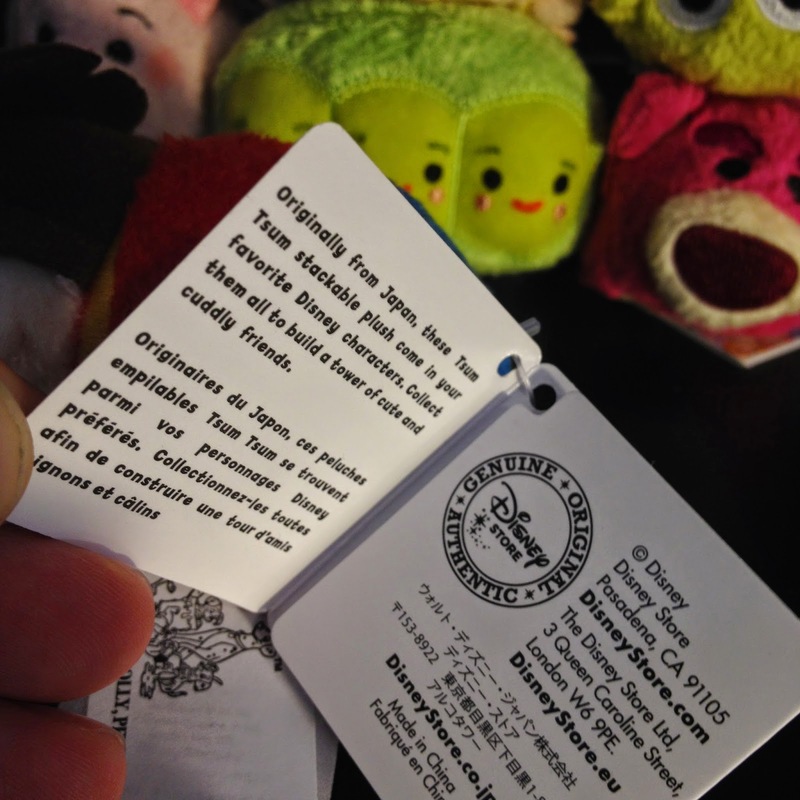 These plushies are only 3 1/3 inches long and are made from a very quality, soft material. 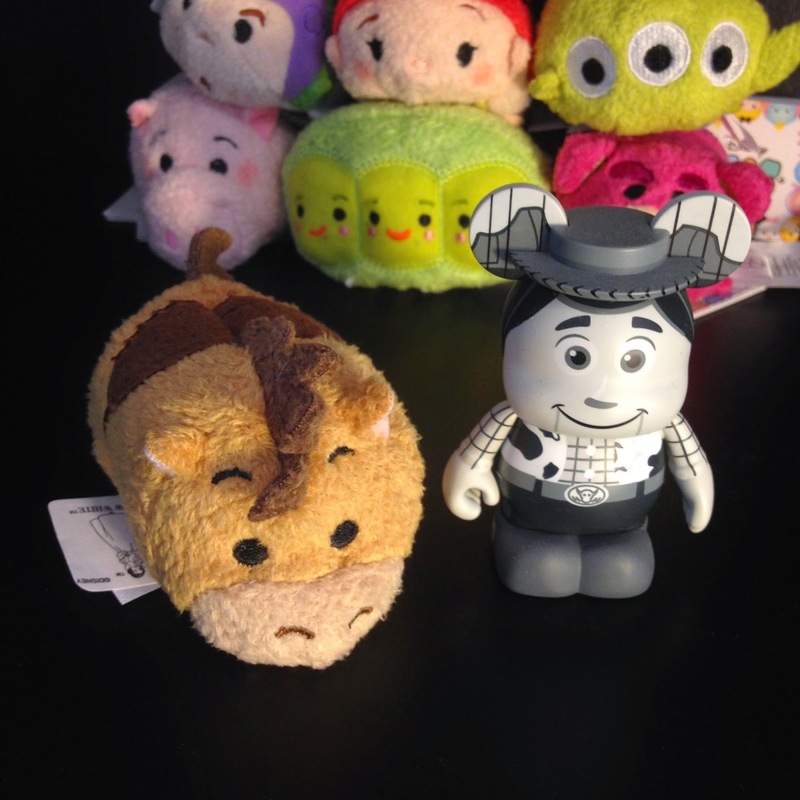 You can see some size comparisons below to get an idea of how big (or small) they actually are; one with my hand and one with a standard sized Vinylmation. 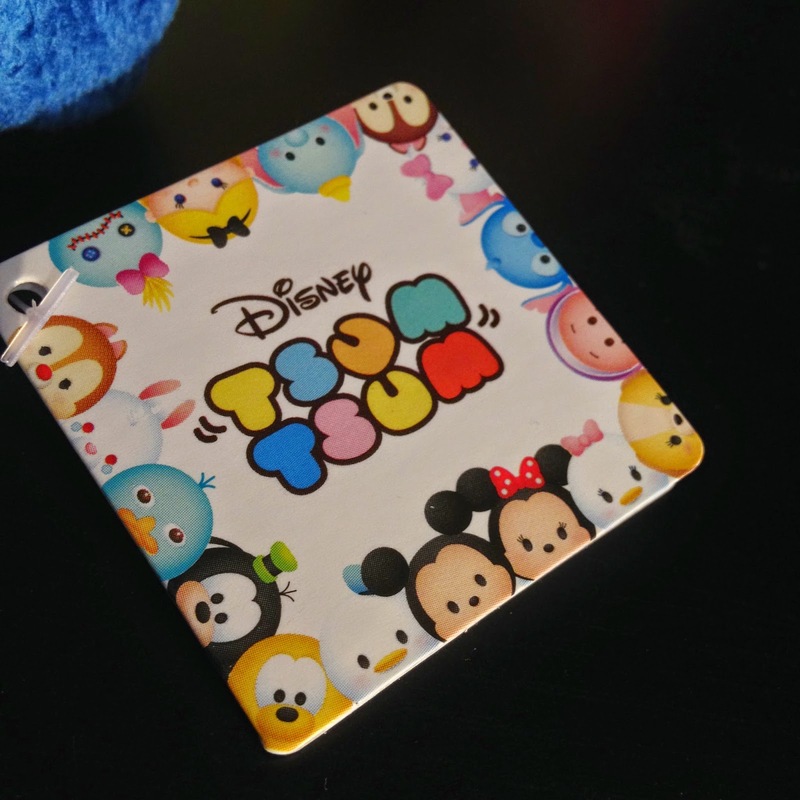 Each comes with a tag that opens up to a brief description of what Tsum Tsums are and where they came from. The tag also gives you an idea of some of the other fun characters out there. Lets get to some close ups! I just love the shape of these plush, I think they're just so hilarious (especially when you "make" them waddle around). They're just such an odd, stubby, oval shape, almost like some sort of insect. The designs are so unique as well; this really is a one of a kind collection. Consider me a fan! At this point, I'm definitely hoping for more Pixar characters to be released soon. I'm pretty sure a Mike and Sulley will be released in the near future, so I'll keep you posted on that! 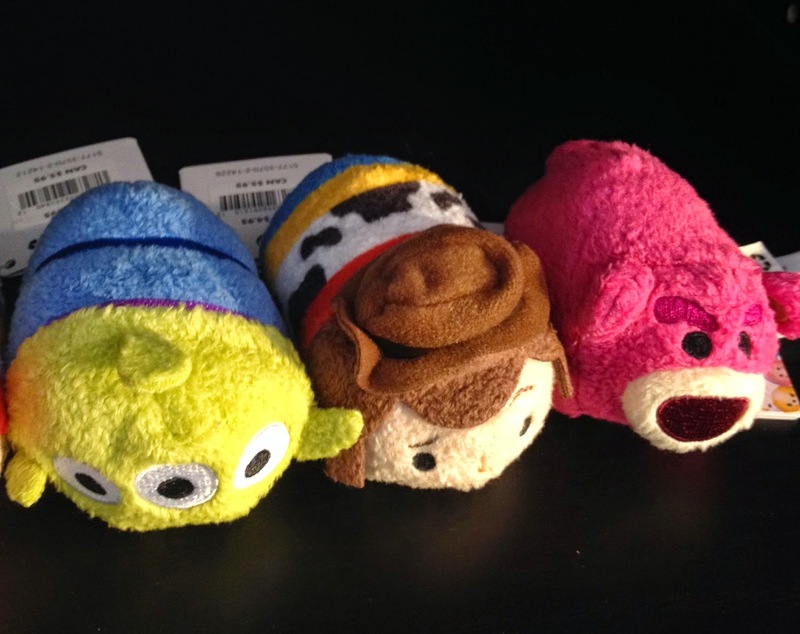 In the mean time, you can pick these Toy Story ones up at the Disney Store, or at the DisneyStore.com HERE.